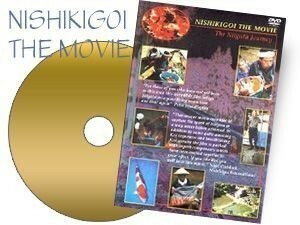 A totally unique, enthralling insider’s view of the very heart of Nishikigoi culture, the movie chronicles the Autumn Koi hunting adventures of the incomparable Peter Waddington. Filmed exclusively in the hallowed Koi villages of Niigata, not only does The Niigata Journey get to the very essence of Koi, but it also captures many other fascinating aspects of the Japanese Koi culture including exclusive footage of the masters of Nishikigoi at work AND some quite breathtaking material of Koi harvests so fantastic that all who see it will be amazed. In addition to incredible Koi sequences The Niigata Journey also includes some breathtaking film of this awe inspiring landscape. Possibly never again will a film such as this be made - it is a collector’s item and a movie for ALL Koi enthusiasts, with more than an hour and a half of unequalled, totally priceless, Koi material. Producer: New Vision Videos, Run-time: 90 minutes. PAL (Region 0) format. This DVD will play in all computer based DVD drives, and most home DVD players.